Religious attitude. Psychologically, an attitude informed by the careful observation of, and respect for, invisible forces and personal experience. The religious attitude is quite different from faith associated with a specific creed. The latter, as a codified and dogmatized form of an original religious experience, simply gives expression to a particular collective belief. True religion involves a subjective relationship to certain metaphysical, extramundane factors. 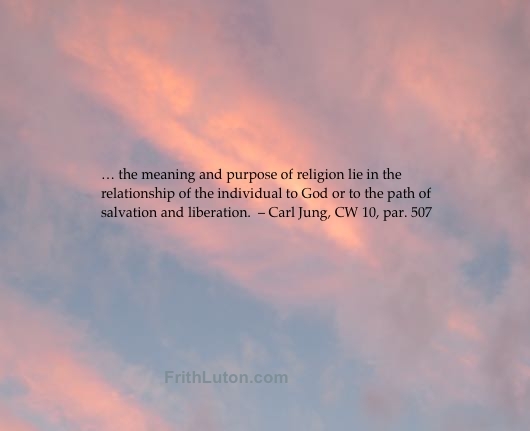 Jung believed that a neurosis in the second half of life is seldom cured without the development of a religious attitude, prompted by a spontaneous revelation of the spirit.